This post highlights a wide range of free Google SEO tools that are readily available to everybody. These free SEO tools from Google are great for keyword research, rank tracking for your key pages and posts, search analytics, website page speed testing and mobile-friendliness tests, Google Analytics integration, customized SEO reporting, and more. Get started with your pick of these free Google SEO tools and then decide what else you need to augment your SEO toolbox. You may find that you also need to invest in some good 3rd-party paid tools… or you may not. So… dive in below. I hope this post helps you with your search engine optimization efforts! There are so many good SEO software tools on the market today, it can be hard to decide where to begin. Many of the best paid SEO tools have a free introductory user tier, so it’s often easy to get started with SEO for free. Since Google is the search engine that most SEOs care about first and foremost, I recommend starting with the free Google SEO tools and webmaster resources offered by the search engine giant itself. I introduce several of them in this post. Use the index above to quickly jump to specific areas of interest. Otherwise, just read straight through the post and I’ll tackle them in order. First off, let’s take a quick look at some of the free SEO keyword planning tools available from Google. I’ll introduce the Google Keyword Planner tool, followed by some useful SEO features of the Google SERPs themselves (SERP = search engine results page). Most Google search engine marketing (SEM) practitioners are familiar with the Google Keyword Planner that is part of the AdWords pay-per-click (PPC) environment. This tool provides search volume estimates and keyword difficulty for PPC advertising. It is the best known and (arguably) most popular of the free PPC and SEO keyword planning tools available. The catch is this: you must have a Google AdWords (Google Ads) account in order to use it. You don’t need to have current Google PPC campaigns running in order to access the keyword planner tool, but you must at least have an account set up. Go here for more information about the Google Keyword Planner. Google’s millions of online advertisers use the free keyword planner tool to help set up, optimize, and update their PPC ad campaigns. But SEO users, who are interested in *organic* search traffic (vs. PPC traffic), also use the Google Keyword Planner tool. So, the Google Keyword Planner is certainly a good starting point for building a short-list of possible keywords to target. For users with existing Google Ads accounts, the keyword planner tool is available under the ‘Tools’ navigation, e.g., in the All Campaigns dashboard. Simply click on the Tools icon, then select Keyword Planner from the Planning column. The Google Ads Keyword Planner is in the Tools > Planning area. These are the two basic options you’ll find inside the Google Keyword Planner. Google Ads Keyword Planner keyword research options. Find new keywords will help you generate keyword ideas based on a starter set that you input. You will also see historical search volumes, as well as PPC estimates such as cost-per-click metrics and competition level. Get search volumes and forecasts will provide similar information, but just for the specific keywords that you enter. Brand new users of Google Ads may have to set up an initial account and basic search campaign before the keyword planner tool becomes visible and available. Note: You should not have to commit to any actual PPC ad spending in order to access the keyword planner tool. In the example below, we see a broad (10x) range for average monthly searches, along with PPC competition level (Low – Med – High) and $ bid ranges for top-of-page placements. It is the average monthly searches data that is of most interest for our SEO purposes. Google Keyword Planner shows historical average monthly searches in a broad range here. For SEO practitioners who *only* want to use the keyword planner tool for SEO keyword research and not run actual PPC campaigns, the Google Keyword Planner will only provide a wide range for monthly search volumes. You may also get a pop-up notice (in the window above) that more keyword stats are available if you run an actual ad campaign. Tip: This is where 3rd-party keyword research tools can be super helpful. They can provide a more targeted search volume estimate, so they can be a great complement to the free Google Keyword Planner tool. The graphic below helps to illustrate one example of a useful free add-on to Google’s SEO tools. It shows additional data available from the Keywords Everywhere browser extension. Google Keyword Planner with Keywords Everywhere data included. Keywords Everywhere adds useful keyword data columns directly next to keywords in the Google Keyword Planner, Google search pages, and the old version of Google Search Console. Check out Keywords Everywhere here. We’ll also see it at work in a few more of the screenshot graphics I include further below. Needless to say, the Google Keyword Planner is one of the most popular free Google SEO tools available today. Another helpful and free Google SEO tool is available directly within their basic search page. It’s the ‘autocomplete’ function that offers search suggestions. It works as you type in your search term and produces suggestions based on what other people have already searched for. Google Autocomplete works as you type. Very handy for quick keyword research. Google Autocomplete is a helpful free SEO tool (or search feature) within the search environment itself. It is not a separate app or tool. If you have the Keywords Everywhere browser extension installed, you’ll see their estimates for monthly volumes too. It’s a good add-on that integrates nicely with several Google SEO tools. Here’s an example of Google Autocomplete suggestions with the Keywords Everywhere data added. We get monthly volume estimates, cost-per-click data, and a PPC competition value (0 to 1… where 1 is highly competitive for PPC). Google Autocomplete with Keywords Everywhere data appended. A helpful addition. I find that Google Autocomplete, enhanced with the Keywords Everywhere browser extension features, is very useful for reviewing common search variants and basic volume estimates. This Google SEO keyword research tool is also available directly within the Google search environment, at the bottom of the search result pages. See a typical example below. Google related searches at bottom of SERP Page 1. More helpful keyword variant ideas. This is an easy way to identify possible search term variants and long-tail variants of your base keyword concepts. Like Google Autocomplete, the Google related searches area can also be enhanced with data from the Keywords Everywhere browser extension. Here’s a version with the Keywords Everywhere data appended. Google related searches with Keywords Everywhere data appended. 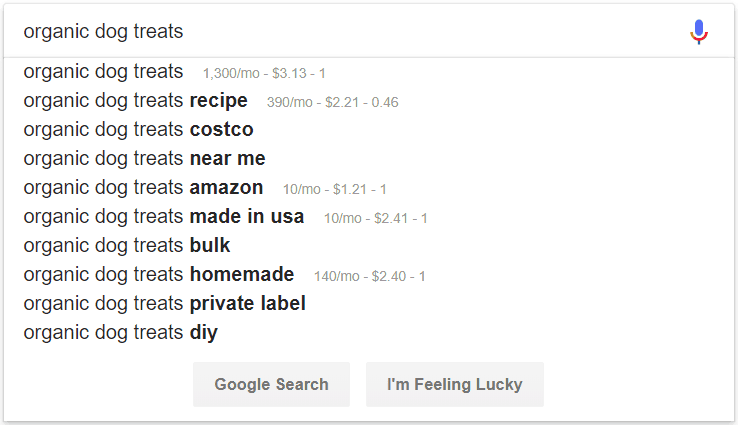 The Google SERP feature labeled ‘People also ask’ can also be very helpful for identifying long-tail keyword variants and LSI (latent semantic indexing) keywords. You won’t get estimated keyword volumes directly here, but it’s still useful for generating related keyword ideas based on your main topic. This feature is useful for SEO content planning as well. It provides great clues as to what questions your target audience needs to have answered on a specific topic. The Google ‘People also ask’ feature is another handy free keyword research tool. So at this point we’ve covered four useful and free Google SEO tools. The first one, Google’s keyword planning tool, does require a Google Ads account in order to access it. But it’s still free to use at a basic level. The other three are related to the Google search function itself, and so are available for free to any user of Google search. Features such as autocomplete, related searches, and ‘people also ask’ are examples of user-friendly features that serve double-duty as useful Google SEO tools. These search features help users conduct better and more meaningful searches. They also provide great value to SEO practitioners for real-world keyword research. We’ve also seen that other free SEO tools, such as the Keywords Everywhere browser extension, can add even more value to Google SEO tools and search features. Next up… let’s take a quick look at a very comprehensive Google SEO tool… the Google Search Console (GSC). GSC also offers a lot of value as an SEO keyword research tool and rank checker, plus a lot more for webmasters and SEO practitioners. Google Search Console, or GSC for short, is the mother of all Google SEO tools. And it, too, is free for everyone. Google Search Console provides a number of features, tools, and reports that allow webmasters, digital marketers, and SEOs to assess the performance of a website in the eyes of Google and organic search. If you only use one free SEO tool, Google Search Console should be it. Check all the essential metrics related to your website’s Google search rankings: impressions, clicks, click-through rate (CTR), and position in Google’s organic results. Identify *actual* user search queries that generate impressions and clicks for your website or blog content. Not guesses or made-up keyword phrases. These are actual terms and phrases (queries) entered by real users of Google search. Track SEO performance changes over time, including position rankings for keywords and target pages. Filter your key SEO metrics to analyze specific keywords, groups of keywords, specific landing pages or groups of pages. Analyze SEO results by countries, device types (desktop, mobile, tablet), search types (web, image, video), search appearance (e.g., Web Light results), and date ranges. Compare search metrics between different time periods. Check your website’s link profile (external (incoming) links, internal links, linking sites, linked pages, linking text). Check search appearance (structured data, rich cards, Accelerated Mobile Pages (AMP), etc. Check for HTML SEO issues with meta descriptions, title tags, and non-indexable content. Submit new or changed pages for immediate Google indexing. Every one of these areas is important for SEO, though it’s common to use some features more than others on a regular basis. I spend most of my GSC time in the Search Analytics area, while also keeping an eye on external and internal links. I use the other features of Google Search Console on a less frequent, as needed basis. The ‘old’ Google Search Console menu options. Fundamental tools for Google SEO. The image below is what’s available in the ‘new’ Google Search Console as of late September 2018. It doesn’t yet cover everything the classic Google Search Console covers, so as of this writing I actually use both the classic and new GSC interfaces. You can use them both at the same time, as needed. The new Google Search Console definitely has an updated look-and-feel to it, compared with the older version. It has several nice feature enhancements as well, including expanded date range options and flexible filter settings. There is also, for now at least, the ability to switch back and forth between the new and classic versions of Google Search Console. The ‘new’ Google Search Console menu. Good new features within – still catching up to the old GSC. All SEOs, and probably all website content marketing and inbound marketing professionals, should become experts at using Google Search Console. Here’s a look at a typical Search Analytics graph inside the classic Google Search Console. This example shows all four metrics available: Total Clicks, Total Impressions, Average CTR, and Average Position. A large table of actual search queries (not shown here) sits below the chart. A typical Search Analytics tracking chart inside the (classic) Google Search Console. The graphic below shows the ‘new look’ Performance section of the new Google Search Console. In this case, the search metrics are isolated on a specific keyword that I was interested in investigating further. As shown here, we rank on Google page 1 for this specific keyword, with excellent average click-through rate (CTR). The new Google Search Console Performance report. Same basic metrics with a new look and other interesting new features. It’s outside the scope of this blog post to provide a complete tutorial on Google Search Console. For that level of detail, see Anna Crowe’s complete guide to Google Search Console, via Search Engine Journal. Also see this page for more about Google webmaster tools and resources. If Google Search Console is the mother of all free Google SEO tools, then Google Analytics (GA) is the helpful aunt and trusty sidekick to GSC. Google Analytics is Google’s ubiquitous website analytics platform. It’s free for most users and also has a paid high-end version (Google Analytics 360) for large enterprises. Google Analytics’ SEO features include the ability to connect Google Analytics and Google Search Console for the same web property. This allows you to see Google Search Console’s search analytics data directly within your Google Analytics interface, in the Acquisition reporting area. You can then combine the search console data with other Google Analytics metrics and dimensions to get a more complete picture of how organic search-based visitors are using your site, reaching on-site goals and generating conversions, etc. The graphic below shows Google Search Console data pulled into Google Analytics… in this case for the demo GA account based on live data for the Google Merchandise Store. We see Clicks, Impressions, CTR, and Average Position in the Google SERPs, just as we would if we were inside Google Search Console for this web property. In this case, we use Search Query as the primary dimension and a secondary dimension of Country as an optional addition for this report. 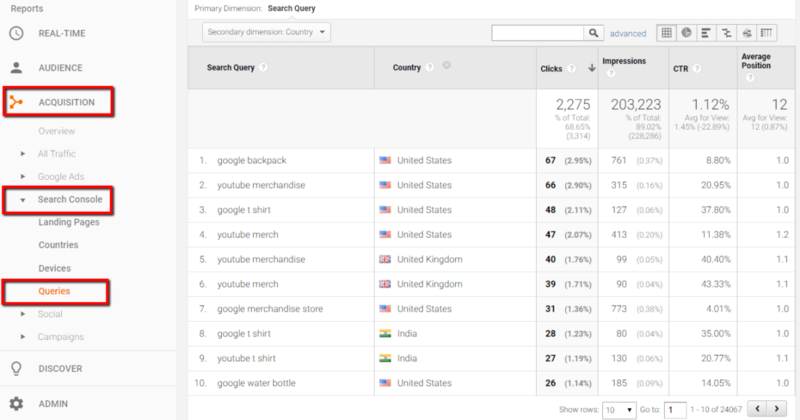 Example of SEO data inside Google Analytics. Connection with Google Search Console enables this. The next graphic below focuses on organic search Landing Page as the primary dimension in Google Analytics. We see the usual four columns pulled straight from Google Search Console: Impressions, Clicks, CTR, and Average Position. We also see the Behavior and Conversions (eCommerce) metrics that are typically associated with Google Analytics… all in the same report alongside the corresponding GSC data. It is this ability to combine Google Search Console and Google Analytics data into meaningful reports that makes it worthwhile to connect GSC and GA for a single web property. It also helps to solve the common ‘(not provided)’ issue when looking for organic search keyword information inside Google Analytics. Google Analytics and Google Search Console metrics combined into a cohesive report. Another reason for making the connection between GA and GSC is simply to have easier access to the main Google Search Console metrics within GA.
For users who spend much more time in Google Analytics vs. Google Search Console, it can be a nice convenience to have the main Google SEO metrics readily available when reviewing GA activity. This free Google SEO tool provides a quick and simple way to test your website and pages for ‘mobile friendliness’. Try the Google Mobile-Friendly Test Tool here. These days, having a site that is NOT mobile friendly is definitely NOT a good thing… for users or for your SEO. Google factors mobile friendliness into its search ranking algorithm, so you definitely want to be in reasonably good shape here. Here’s what the Mobile-Friendly Test results look like for the main IBM website. There are apparently some issues with complete page loading (see yellow triangle), but the page overall is seen as mobile-friendly in the eyes of Google. 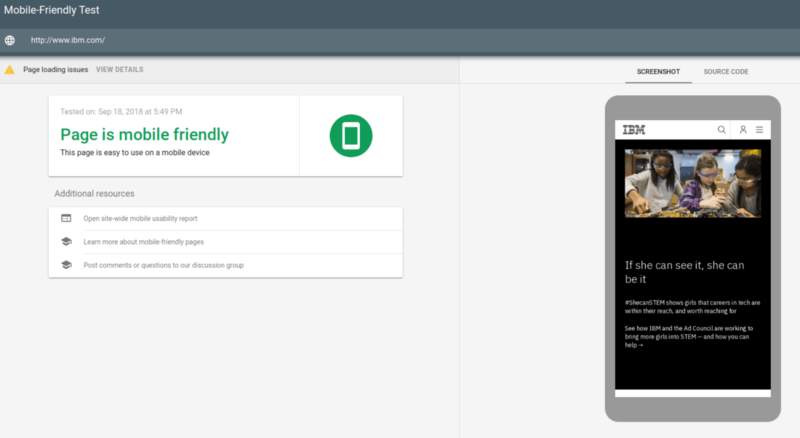 A quick ‘mobile friendly’ website test tool from Google. Mobile user-friendliness is very helpful for SEO. So, use this free Google tool to see if your website pages or posts might have any serious ‘mobile-friendly’ SEO issues. A technical aspect of website SEO is understanding the load times of the pages on the site. Lower is better… in the eyes of your site’s visitors and Google as well. 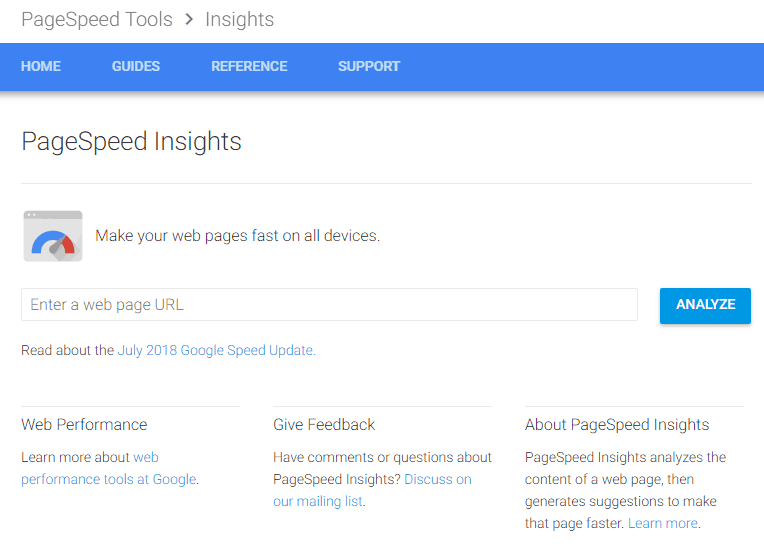 To help webmasters identify and correct issues with website loading speeds, Google provides the free tool known as Google PageSpeed Insights. You can find it in the Web Tools section of the classic Google Search Console menu. Look for Web Tools >> Other Resources >> PageSpeed Insights. Google’s PageSpeed Insights tool is part of the Web Tools > Other Resources area of the original GSC. You can also visit the PageSpeed Insights home page here, as shown below. The Google PageSpeed Insights home page. See below for an example speed test for the IBM (US) home page. PageSpeed Insights provides scores for load speed and optimizations present, for both mobile and desktop test scenarios. It also provides insights and guidance for making further optimizations that will reduce page load times. Google PageSpeed Insights – example results for a typical large website. This free Google speed testing tool checks your site speed for mobile users and provides recommendations for improvements. Try Google’s Test My Site here. 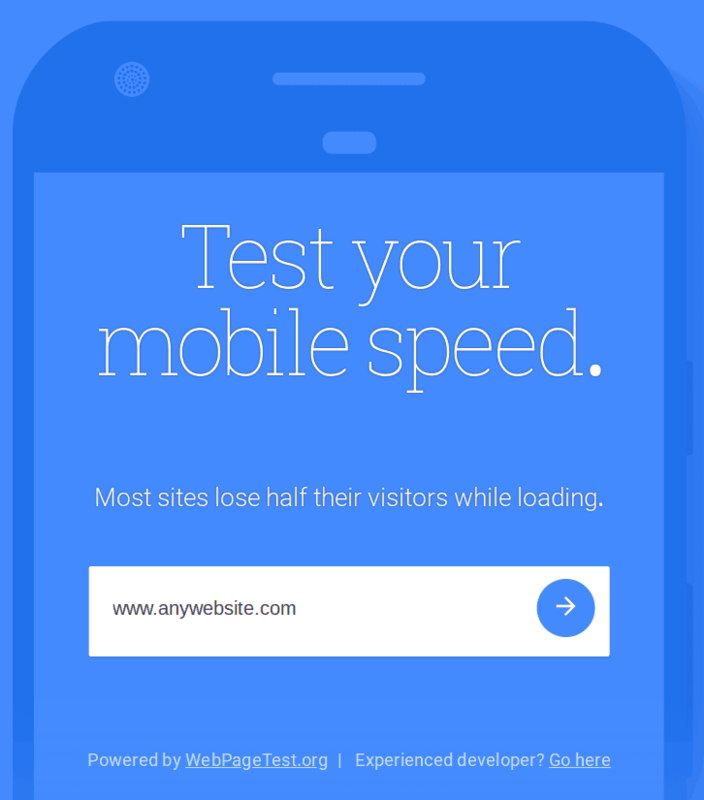 Google’s ‘Test My Site’ resource tests for site speed in a mobile world. It’s a simple and quick tool when it works. I’ve had some issues getting it to initiate tests reliably, so just a word of caution on that. Test My Site is based on speed testing resources at WebPageTest.org, so you may also want to run the more comprehensive tests there in any case. 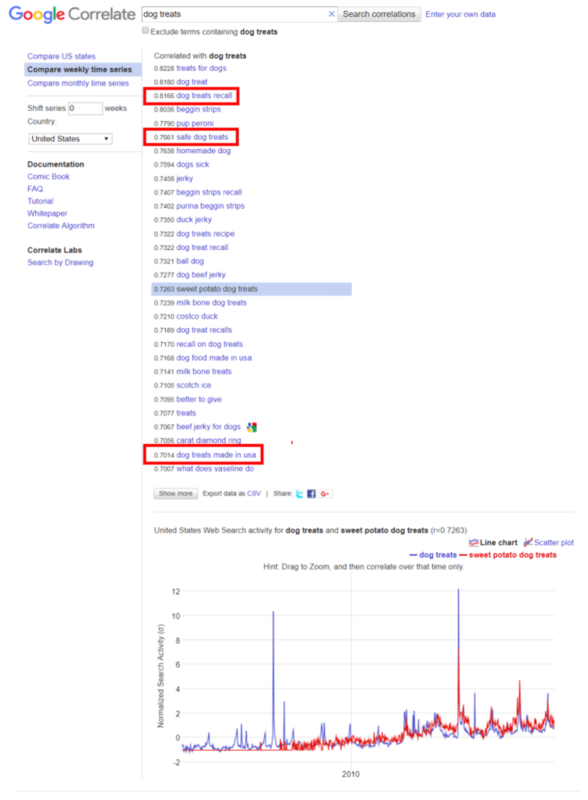 Google Trends is a great free SEO keyword research tool that is sometimes overlooked. It allows you to research and compare search volumes for up to 5 keywords over specific time periods. You can also see regional differences in search trends for these keywords, plus suggested keyword variations. Google Trends allows you to determine which of several similar keyword phrases may be best to go after for SEO content planning purposes. 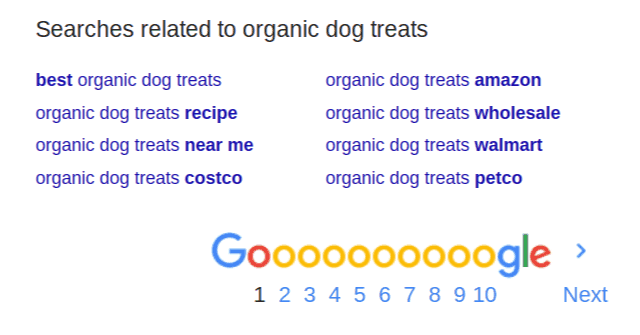 For example, see the Google Trends results below based on SEO keyword research on the subject of ‘dog treats’. I’ve entered five keyword variations and can instantly see the relative search interest, including breakdown by US geographic region / states in this case. I can also see data on related queries, which will help identify good keyword variations for potential long-tail and LSI keyword purposes. Google Trends is great for researching SEO keyword ideas and seeing regional trends. Remember statistics class back in school? Remember *how much fun* correlation coefficients were? In any case, meet Google Correlate, which is a less well-known part of Google Trends. It may add some value for you as one of the more obscure free Google SEO tools. While Google Trends lets you input multiple specific keyword terms and compare them for search interest over time, Google Correlate sort of does the opposite. Google Correlate provides a way to see which search terms correlate best over time with any term you wish to input as a starting point. The range is 0 to 1, where 1 means perfect correlation. For keyword research purposes, Google Correlate can be useful for finding related terms that you may want to incorporate into your content planning and writing. 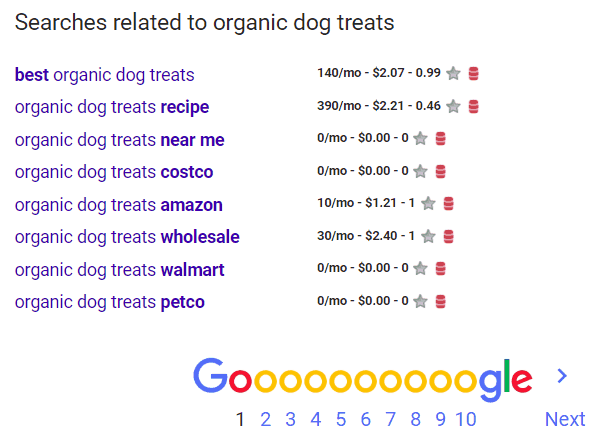 For example, see the Google Correlate output below, based on a seed search term of ‘dog treats’. An example of keyword research using Google Correlate. 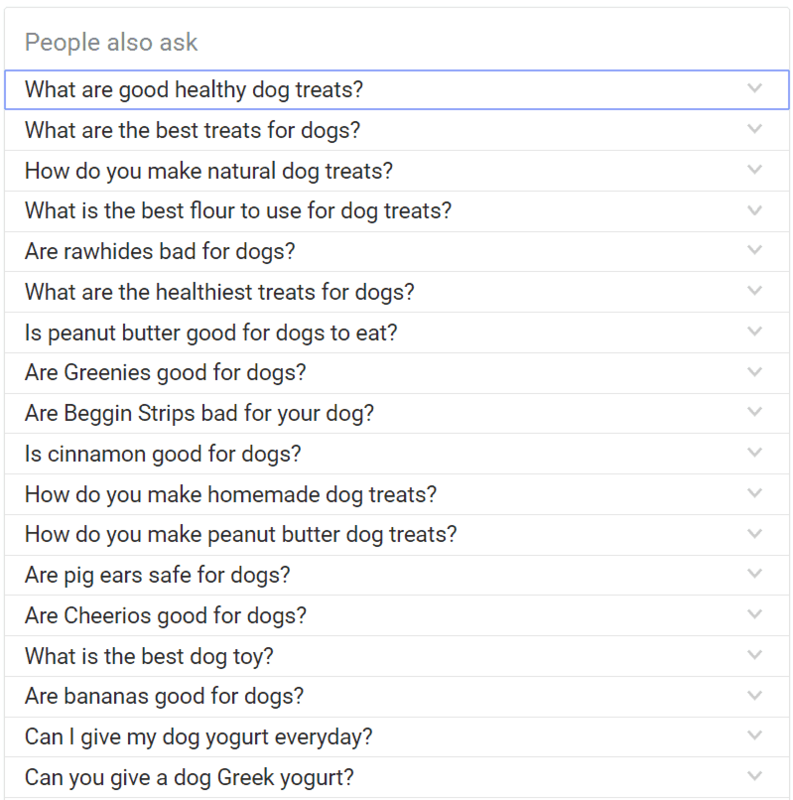 We see here that people searching for dog treats may also have been searching for options that were considered to be safe for their pets. They may have been worried about recalls of unsafe dog food or treats (which did actually happen a few years ago, unfortunately). There is also some correlation with interest in US-made dog treats and treats made with sweet potato. Some of these correlating search terms may be worth researching further as good keyword options. 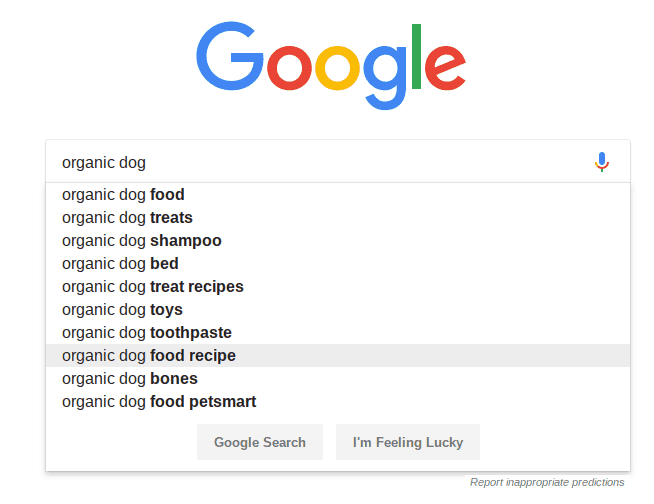 For example, it may be worth going back into Google Trends and other SEO keyword planning tools to see what turns up for ‘sweet potato dog treats’. You’ll also find that many or most of the search terms that correlate with your initial keyword have absolutely nothing to do with your area of interest for keyword research. This is just due to the randomness of correlations among millions of search phrases. True to its name, Google Correlate only cares about search term *mathematical correlation* over a time period, not about similarity of concepts. So you will see some completely random search phrase connections turn up when using this tool for SEO purposes. A potential major downside of Google Correlate is that it may no longer be an active project for the Google Trends team. The data (as of this writing) stops on March 12, 2017. Still, I encourage you to at least take a look at Google Correlate when doing SEO keyword planning. You just may uncover something interesting. Google’s Lighthouse is an open-source web developer tool, designed to test web pages and web-based apps for speed and other issues using a simulated ‘real-world’ 3G data network. It’s available as a free Chrome browser extension. You can run Lighthouse audit tests against any web page or web app, covering these areas: Performance, Progressive Web App (PWA) compliance, Accessibility, Best Practices, and SEO. Get the Lighthouse Chrome extension here. Once the tests are completed, Lighthouse generates a report on how well the page did. Focus on the major problem areas identified in order to make the most meaningful improvements to the page. These fixes should all improve your end user’s experience, page speed, and SEO. 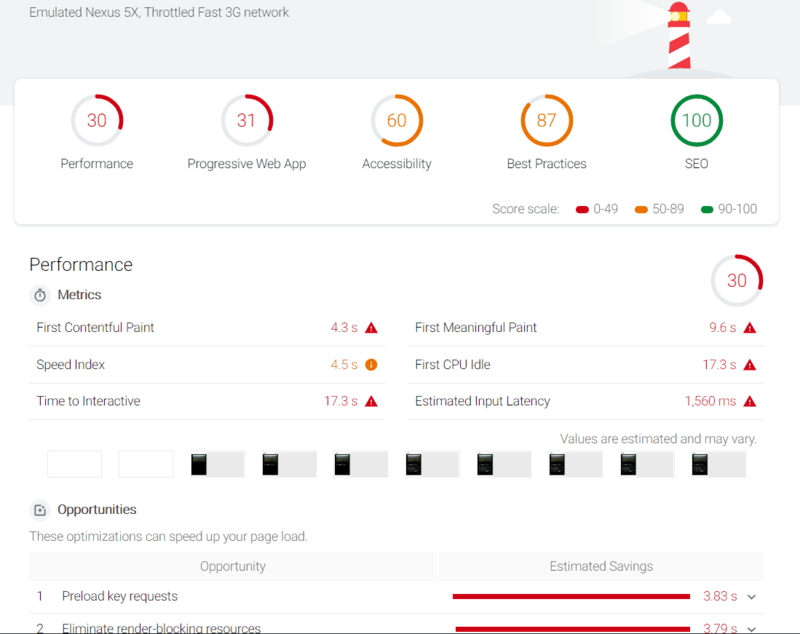 The upper part of a Google Lighthouse mobile speed report for a large website’s home page. The report continues with a detailed list of improvement areas and their potential page load time savings. As with any Chrome browser extension, be sure to visit the Lighthouse user reviews in the Chrome store to learn about any issues that may be worth your consideration. It’s a well-rated extension overall, with 4.5 stars after 200+ reviews. For more discussion about Lighthouse, including a comparison to Google’s PageSpeed Insights, see this article from the SEO experts at Yoast. Google Data Studio is not purely an SEO tool, but I give it an honorable mention here since it can be very helpful for improved SEO reporting. For example, you can connect both Google Analytics and Google Search Console as data sources into Google Data Studio to provide an integrated reporting environment. This may eliminate any need to export GA and GSC data into spreadsheets for consolidated reporting. Here’s an example Google Data Studio report that pulls in search console data from Google’s own merchandise store. 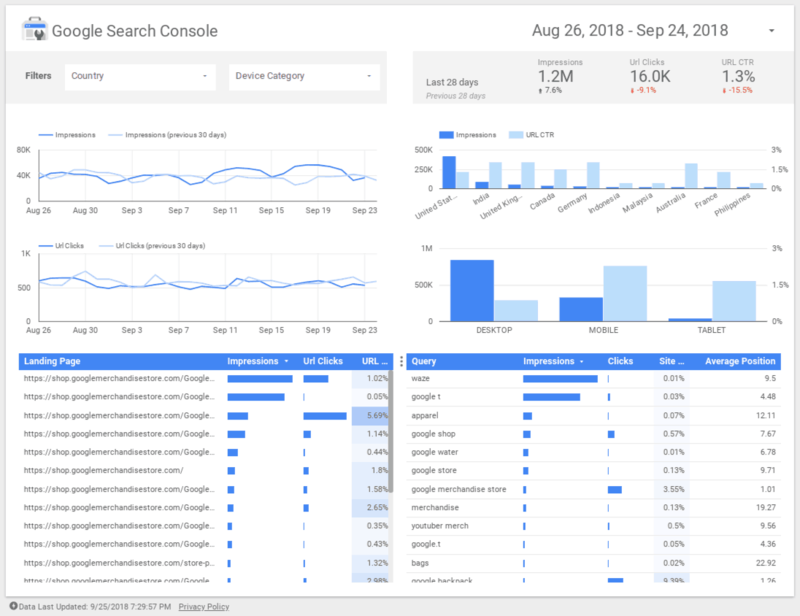 A sample SEO report using Google Data Studio with Google Search Console data. Google Data Studio can make SEO reporting much simpler, more visually appealing, and more user-interactive vs. trying to build reports manually in Excel or Google Sheets. These reports can also incorporate user-defined settings, such as filters and date ranges, as in the sample report above. Google Data Studio also provides much more reporting flexibility and customization vs. the static PDF reports that can be exported directly from Google Analytics. For these reasons, I think Google Data Studio deserves a spot on this list of free Google SEO tools. Check out Google Data Studio here. I’ve tried to show in this post that the world of free Google SEO tools is pretty rich already, and getting better all the time. 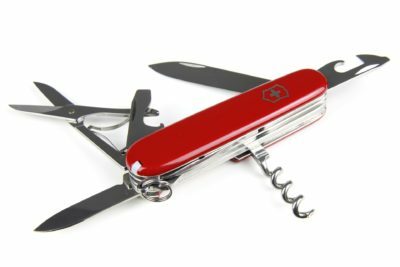 Most of Google’s SEO tools and resources aren’t designed strictly for SEO purposes, but add value for SEOs and digital marketers who know where to look and how to use them. They won’t replace all of the paid SEO tools that are available, but they offer a great starting point for any digital marketer looking for SEO help. Every SEO professional uses at least some of these free Google SEO tools on a regular basis… probably even daily. Most of the free Google SEO tools are also very useful outside of SEO purposes and should be used by just about all digital marketing professionals. Google Analytics for website analytics that aren’t directly related to SEO. Google Mobile-Friendly Test Tool and PageSpeed Insights for website usability, speed testing, and overall health-check purposes. Google Data Studio for improved, integrated reporting. Google Keyword Planner for PPC ad planning. So, if you’re getting into the world of SEO with a focus on Google, I encourage you to check out any of the free Google SEO tools described above. See what you can accomplish with these first, then look to the wide range of paid / premium SEO tools to add more capabilities where needed. Need a hand with your own website SEO work? I offer a range of SEO consulting services and would be happy to discuss your SEO goals. I’ll wrap up here with just a few questions for you. Feel free to chime in with your comments below. Which of these Google SEO tools do you use the most? What else would you like to see Google provide (either free or paid tools)? What 3rd-party software do you use most for SEO, either with or without the Google SEO tools mentioned above?